Dimple Shah has it all figured out. With graduation behind her, she's more than ready for a break from her family, from Mamma's inexplicable obsession with her finding the "Ideal Indian Husband." Ugh. Dimple knows they must respect her principles on some level, though. If they truly believed she needed a husband right now, they wouldn't have paid for her to attend a summer program for aspiring web developers...right? Rishi Patel is a hopeless romantic. So when his parents tell him that his future wife will be attending the same summer program as him, wherein he'll have to woo her, he's totally on board. Because as silly as it sounds to most people in his life, Rishi wants to be arranged, believes in the power of tradition, stability, and being a part of something much bigger than himself. 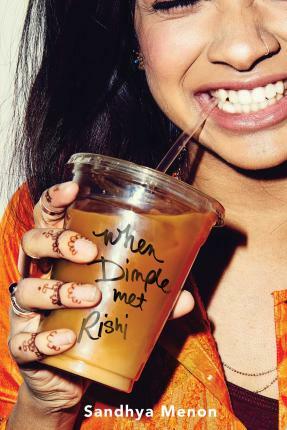 Sandhya Menon is the New York Times bestselling author of When Dimple Met Rishi; From Twinkle, with Love; and There's Something About Sweetie. A full-time dog-servant and part-time writer, she makes her home in the foggy mountains of Colorado. Visit her online at SandhyaMenon.com.